The Axion Corporations’s Vision is to be the premier provider of products and services through the process of constantly improving our services, operations and management systems while maintaining the highest level of ethics and integrity. Axion Corp is committed to consistently delivering quailty products to our customers around the world. 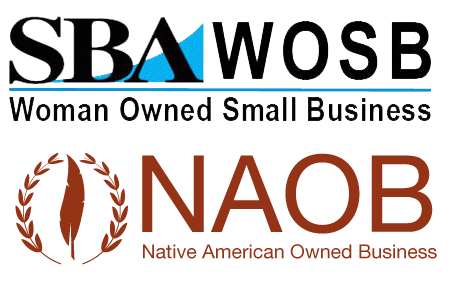 Axion Corporation is an SBA-registered Woman Owned Small Business (WOSB) located in Huntsville, Al, USA, just five minutes north of Redstone Arsenal. Employing on average 15-20 employees, under a 155,000 SQFT factory newly built in 2014. 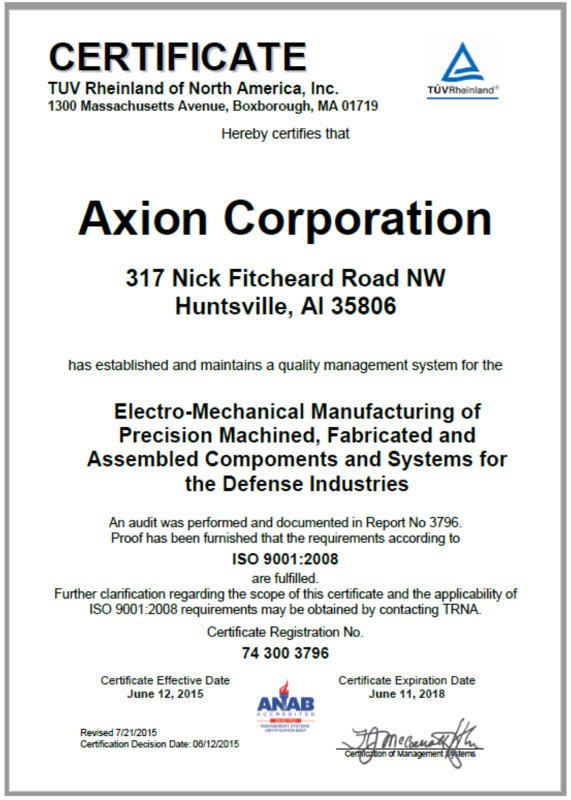 Axion Corp is an active supplier of OEM design and build to print manufacturing services to support the needs of the aircraft industry and the U.S. government. Our customers utilize Axion, in their efforts to support their respective Military and General Aviation customers. We have the ability to cost- effectively address our customers’ requirements, whether for a single part or a lengthy bill-of-material, as such we enjoy stable relationships with several of our valued customers. Since 1984, Axion has been developing innovative technology, improving OEM design and build to print manufacturing services to support the needs of aircraft manufacturers, component OEMs, and the U.S. government. We are the preferred provider of ground vehicle, aircraft and major weapon system parts for the US Armed Forces. These components include but not limited to F16 Under Wing Adapter (W911N2-17-D-0004), (M310 Installation Kit Smoke Grenade Launcher (W56HZV-13-D-0023), Abrams Mine Roller(W56HZV-09-C-0571), Tass Mod Kit(W56HZV-11-C-00397-P00005), Machine Gun Mount Kit(W52H09-09-D-0111), Deep Water Fording Kit, Hoist Kit Assembly(SPRRA1-11-D-0087), Kit Troop Seats (DAAE07-03-D-S079). The Axion particle is a theoretical particle that fills the white space and copies itself where needed. It adapts and forms to meet the requirements of the physical environment surrounding it. Our company is so aptly named because we are experts in build to print services. Consistently deliver high quality products and services at a fair price and on schedule. Meet our customer and company expectations in every venture we pursue.